KM Kim, CF McDonagh, L Westendorf, et al. Anti-CD30 diabody—drug conjugates with potent antitumor activity. Mol Cancer Ther. 2008, 7:2486–2497. Hamilton GS. Antibody-drug conjugates for cancer therapy: The technological and regulatory challenges of developing drug-biologic hybrids. Biologicals. 2015, 43(5):318-332. Lansita JA, Burke JM, Apgar JF, et al. An Introduction to the Regulatory and Nonclinical Aspects of the Nonclinical Development of Antibody Drug Conjugates. Pharm Res. 2015, 32(11):3584-3592. Saber H, Leighton JK. 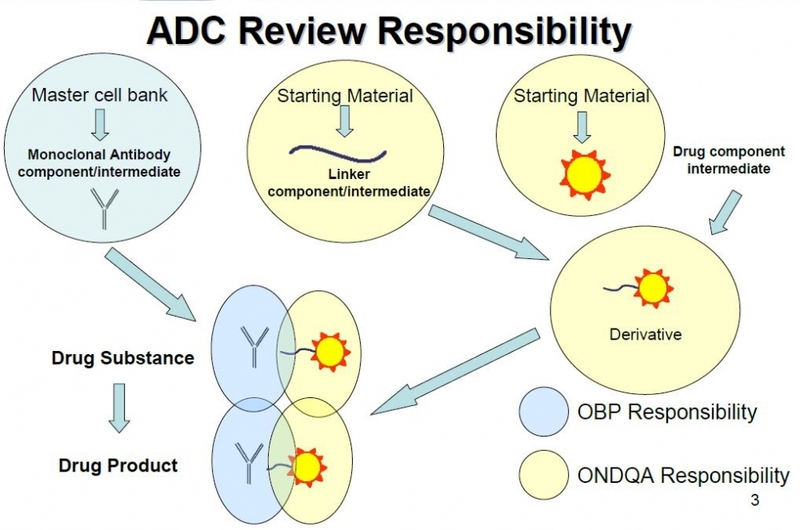 An FDA oncology analysis of antibody-drug conjugates. Regul Toxicol Pharmacol. 2015, 71(3):444-452.